Make the Smart choice – contact a trusted, local storm restoration specialist today. Ensure your Denver roof is beautiful and weather tight for years to come. 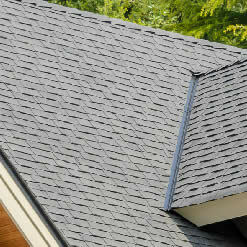 Add value and protection to your home with a new roof from Smart Roofing. We are honest, experienced local Denver Roofers. Metal, Flat & Shingle Roofing Contractors. 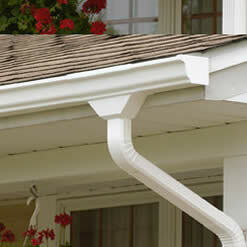 The gutter system plays a huge role in protecting your home and property from water damage. Protect your foundation, siding, and landscaping with seamless gutter installation by Smart Roofing. 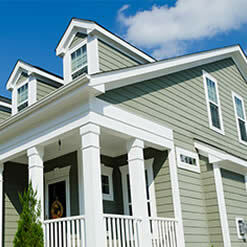 Spruce up your home’s exteriors with beautiful new siding options tailored to fit your style and budget. Add instant curb appeal with new siding installation. 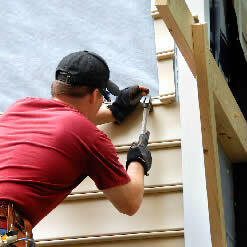 Our professional siding installers are just what your home improvement project needs. Painting, Fencing, Window Trim, and more – the Smart Roofing team will help to spruce up your home. Our home improvement experts will help you update your home with quality workmanship and excellent customer service. We have a great team of professional contractors with in-depth experience in roofing, carpentry, insurance, and more. We carry certifications from the most trusted manufacturers in the industry to ensure that our clients receive the products and workmanship that will last. Whenever you are dealing with hail damage, wind damage or general roof repair, it is important to work with a contractor you can trust. We offer quality roof repair and replacement services throughout Denver. We are experienced with insurance claim work and will help you through the paperwork and leave you with a new roof you can count on for years to come. Learn more about our experience, customer service, and commitment to quality. Smart Roofing is dedicated to presenting the best the roofing industry has to offer. 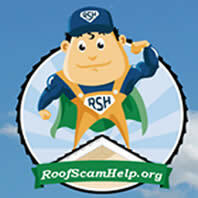 As a trusted roofing contractor, we have teamed up with Roofscamhelp.org to help make things right for those who have fallen victim to roofing scams.